"Bartolini Pickups are my choice because they provide me with such a diverse tone. I cant imagine having anything else in my bass!" 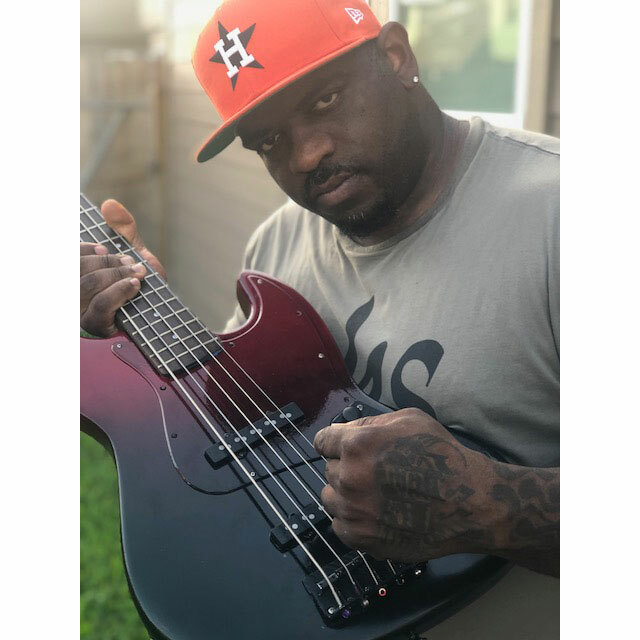 I am a Grambling, Louisiana native raised in a musical family and in a home filled with the sounds of my mother’s gospel singing and my father often playing along or creating music of his own on his lead guitar. Realizing that I had an interest in music, my father first started to teach me to play the bass guitar at the age of 2 years old. His lessons allowed me to quickly master the bass guitar and discover my passion for playing. Realizing I had a gift, my parents bought me my first Bass guitar at the age of 8 years old. From that point, I never missed an opportunity to perfect my craft. My first public exposure was at the age of 7, where I played both the lead and bass guitar at my home church. By my teenage years, I had become a seasoned church musician and already made a name for myself throughout Northern Louisiana. As I branched out from my local church, I performed in district and state conventions until I was recruited to be a part of the famed Blues singer, songwriter, Willie Clayton’s tour. After completing this five-year tour with the band, other recording artists and music directors took notice. Throughout my career, I have recorded songs with several known artists such as ‘Yes to Your Will’ with three-time Stellar Award-winning gospel artist Kim Burrell, ‘Life in 2009’ with the Grammy award winning rap duo UGK, and ‘Lil Girl Gone’ by rapper Devin the Dude. I have also recorded the song ‘Jolene’ on the record Funkadelic: Shake the Gate, by George Clinton, as well as various songs with other artists such as Scarface and Mary Griffin. I have also had the privilege to share the stage with Interscope recording artist Micah Stampley on the Word Network, to playing in concerts with Jagged Edge, Silk, and Carl Thomas. Lastly, never forgetting my gospel roots, I played with Jonathan Nelson and Earnest Pugh during Bishop T. D. Jakes 2013 Megafest and served as the bass player for The Potter's House in Dallas, TX. I am currently serving as the bass player for Mt. Sinai Baptist Church in Houston, TX. These opportunities have allowed me to develop a style that is versatile and become a well-known, sought after bass player from coast to coast.